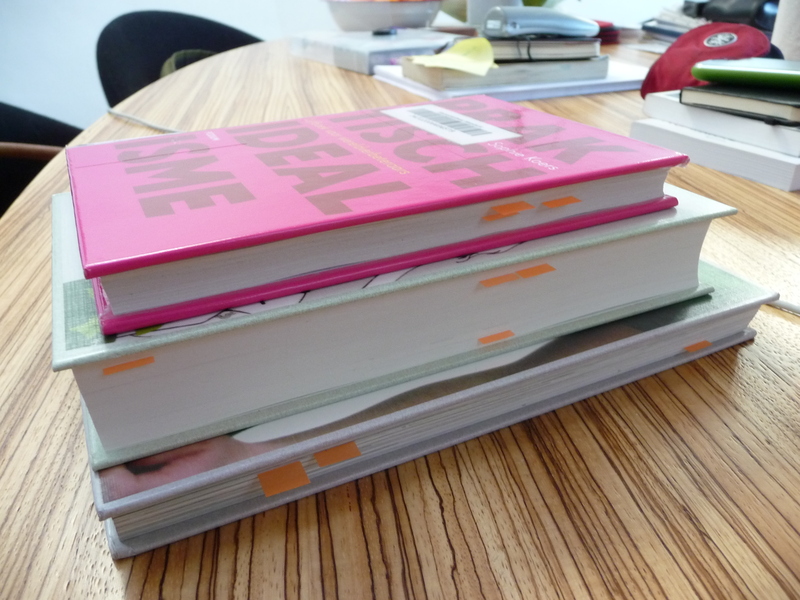 Yesterday I went to the library to find some books for inspiration about consumeless and sustainable lifestyles. And as tremendous coincidences, we were given two highly relevant books of people who (at the time they bought the books) didn’t even know about our experiment! Eise works as a volunteer for Het Bewaarde Land, an initative for elementary school children which is all about experiencing nature in a positive way. 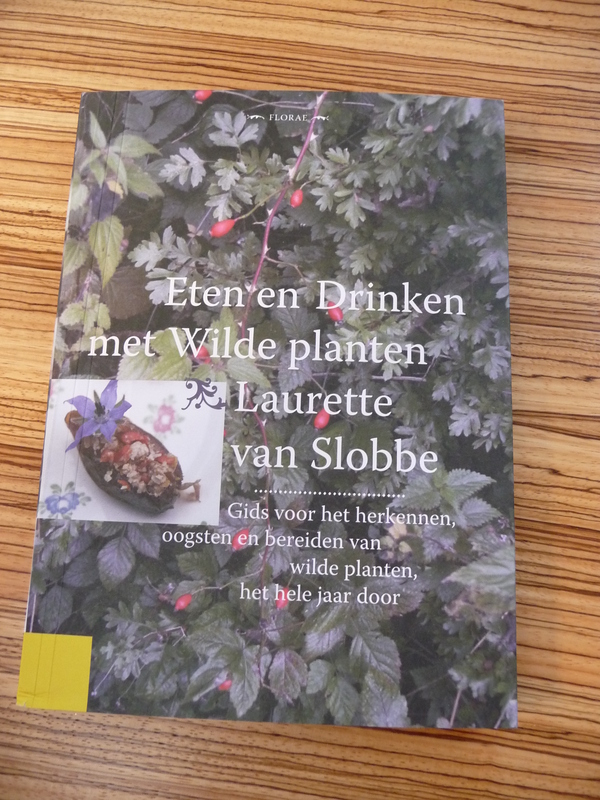 As a thank-you Christmas present he got a book about eating and drinking with wild plants. 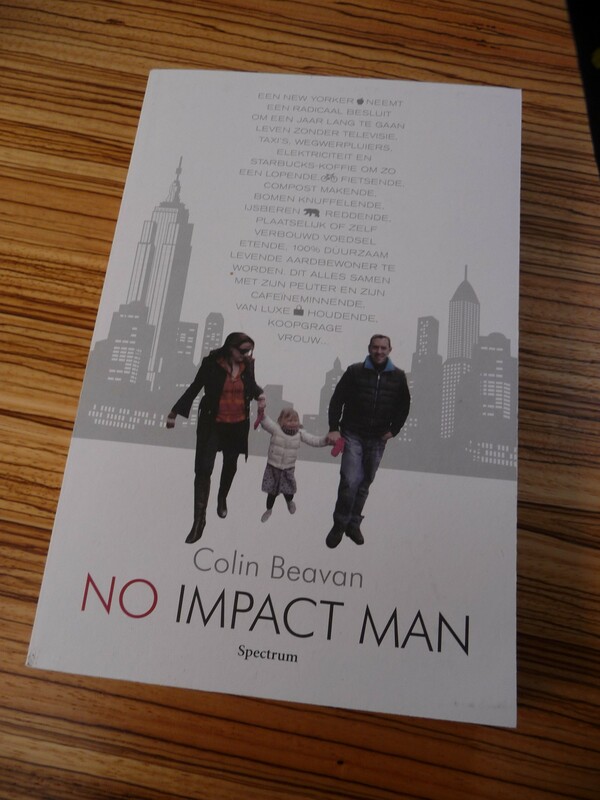 Yesterday, I also got the No Impact Man book from Desiree (with whom I am going to hunt for crop circles in England next summer – luckily Dees is completely willing to travel according to our consumeless and consume sustainably rules!). For the production of cotton, lots of heavy pesticides and artificial fertilizers are used. Katherine Hamnett says on her website: “The situation of cotton agriculture in the developing world, involving 400 million farmers, is catastrophic. Pesticides cause 20,000 deaths per year from accidental poisonings [World Health Organisation (WHO)], 1 million long-term acute poisonings per year [PAN], 200,000 suicides per year (due to debt for pesticides) [PAN].” Using organic cotton is a much better alternative. I read in the book ‘Praktisch Idealisme: lijfboek voor wereldverbeteraars’ that the production of wool is actually not very environmentally friendly. Keeping sheep causes enourmous surplusses of manure and degreasing wool requires a bunch of chemical stuff. However, I am a huge fan of the brand Icebreaker, and they actually produce merino wool clothes quite sustainably (they explain their sustainability philosophy and way of working on their website). So (and I expect this to be our morale for 2010) we should carefully study each product and brand before we can decide whether it is sustainable or not. General rules are not enough. According to the same book I mentioned above, viscose is also not the best option. Viscose is made of wood and in order to produce viscose, trees need to be cut. In addition, the process of making viscose out of wood fibers is quite environmentally unfriendly. I do wonder whether there are friendly and sustainable types of viscose. Maybe there’s FSC viscose?? I did read in the book ‘Hip Groen‘ that the shop Brennels sells clothes made of pine tree viscose, apparently more sustainable. So far what I’ve learned. I will update the rules accordingly.